Solid affordability and comfort features can be found even in inexpensive furnaces like the Goodman Multi-Position — GME8 Gas Furnace. It doesn’t offer the most advanced performance technology currently available, but for many consumers, that’s okay. They’d rather not pay for that level of sophistication or efficiency and prefer a unit that masters the basics. Gino in Los Angeles is one of those consumers and he shares his Goodman Multi-Position — GME8 Gas Furnace Price. Thanks Gino. We always appreciate hearing about HVAC prices from readers. “I’ve got an old ranch home with 2,140 square feet and recently had a new furnace put in. I’m from the old school maybe, but I prefer basic and steady over fancy and fragile. Maybe that’s not a fair way to put it but it seems to me that the more advanced the technology the worse the service record. I’d like to have a high efficiency gas furnace to pair with a high efficiency a/c unit since we cool our home about as many days as we heat it. Still, reliability and durability are the most important features to me. I’ll pay a bit more in utility costs for the confidence that when I hit the switch I’m going to get hot air or cold air when I want it. Here’s the “basic and steady” service Gino will get from his Goodman GME8 gas furnace: Up to 80% AFUE. 2-stage gas valve producing low/high operation for fuel savings and more balanced heating. EEM circulator motor for enhanced efficiency. Dual diameter heat exchanger with proven durability. Silicon Nitride igniter for reliable ignition for the life of the furnace. Limited lifetime warranty on the heat exchanger including 10-year furnace replacement if it fails; 10 years on parts. 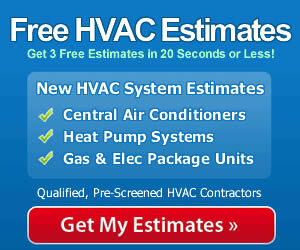 As you make your next gas furnace selection keep in mind the value of having a qualified contractor do the installation. That decision is equally important to the choice of which furnace you buy. Having it installed by a professional will validate the warranty and will ensure the best performance of your furnace, with the greatest safety and durability too.